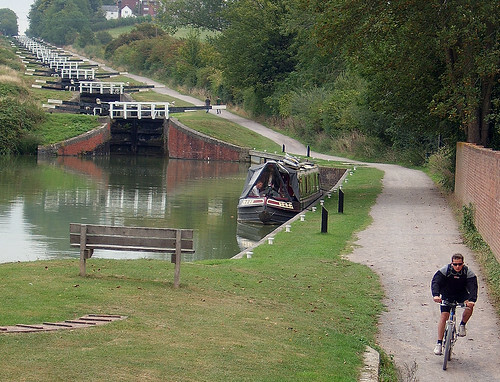 A 16 lock canal ascent on the Kennet and Avon canal in Wiltshire. For the extreme canal enthusiast. From a great selection of quirky places to cycle in Britain.